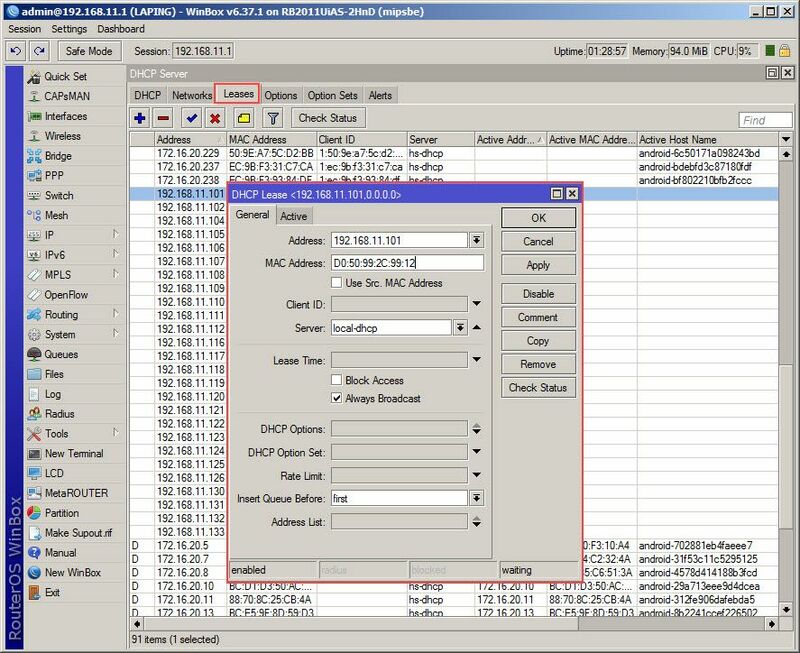 This method will show you how to configure CCBoot Server and Mikrotik Router as CCBoot Third Party DHCP Provider. 1. On the Main interface of CCBoot, click “Options” (Figure 1-1). 2. 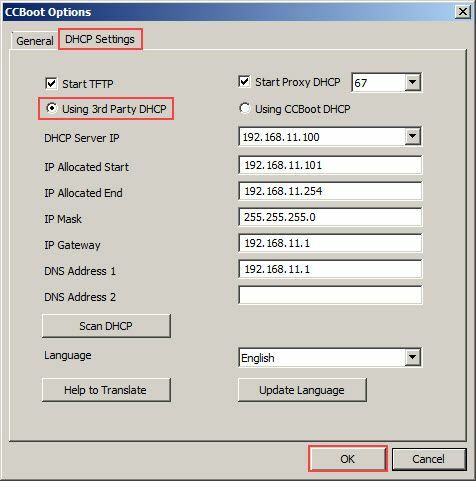 On the “CCBoot Options” dialog box, click “DHCP Settings”tab, and select “Using 3rd Party DHCP” radio button and then click“OK” button. (Figure 1-2). 3. After that on the CCBoot server main interface click the“Client Manager” then highlight all client list, right click and then select“Edit Client” (Figure 1-3). 4. 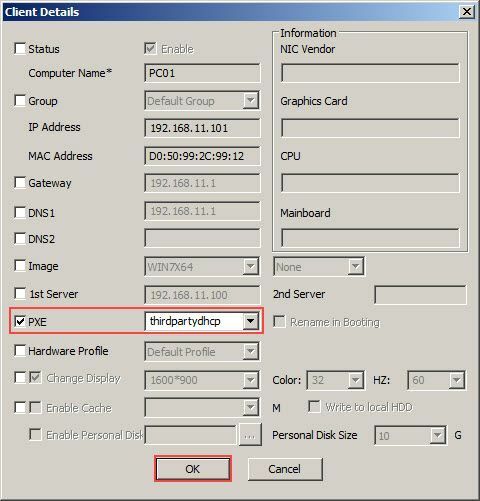 On the “Client Details” dialog box, put check on “PXE”and select “thirdpartydhcp” selection box, then click “OK” button. (Figure 1-4). 5. 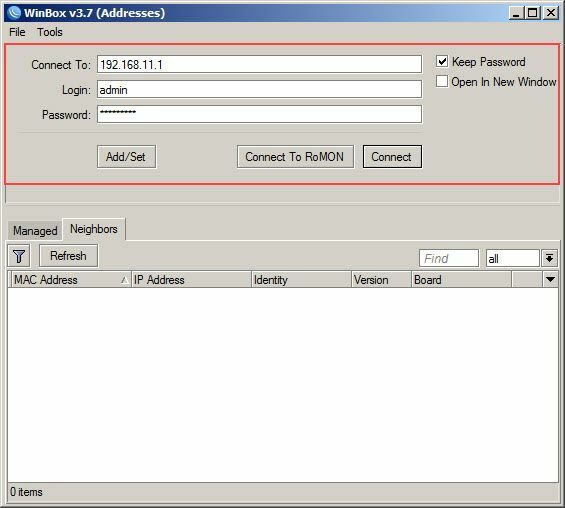 Now login on your “Mikrotik Router” using “Winbox” (Figure 1-5). 6. 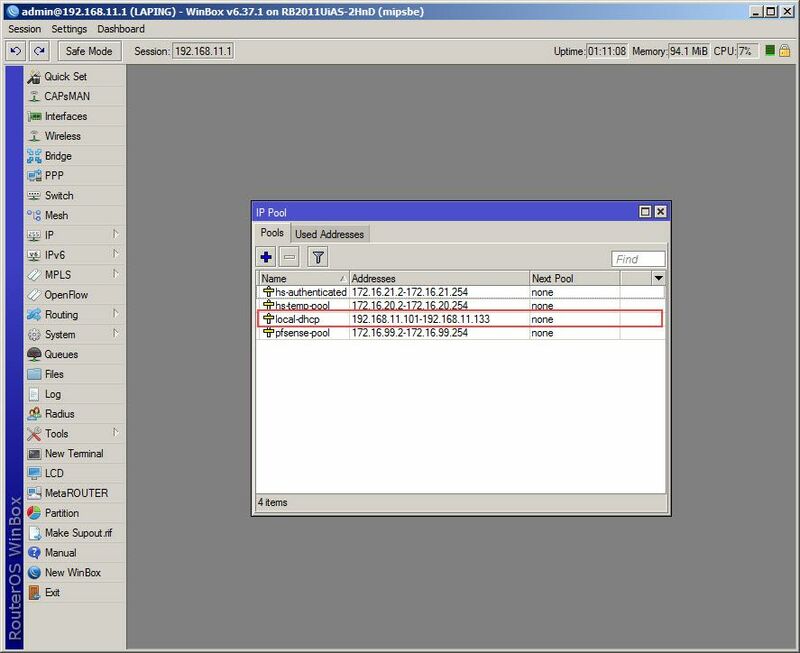 Once the “Mikrotik” interface is open, click on “IP” then select “Pool” (Figure 1-6). 7. Here on “IP Pool” interface of Mikrotik Winbox, add your CCBoot Client IP Range, as an example, we have added “192.168.11.101-192.168.11.133” (Figure 1-7). 8. After that click again “IP” then select “DHCP Server”(Figure 1-8). 9. 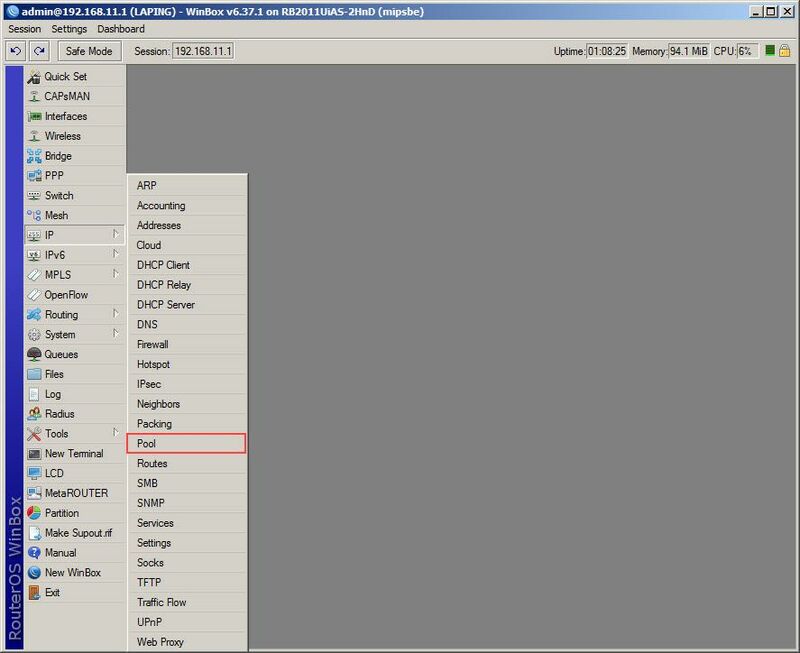 Once the DHCP Server interface is open, click the “+” button to add DHCP (Figure 1-9). 10. 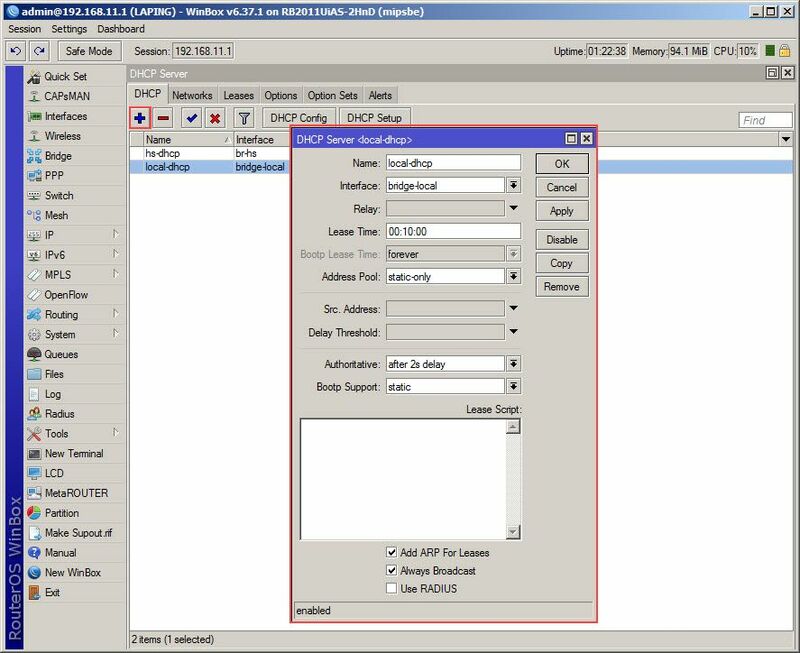 Once the “DHCP Server” is added, click on “Leases” tab,then add all client PC “IP Address and MAC Address (Figure 1-10). 11. If all CCBoot client IP Address and MAC Address were added, you can now diskless boot all clients using Mikrotik DHCP.